Bridgestone Golf announced on Dec. 15, that it reached a multi-year deal for Tiger Woods to play the company's golf balls. Bridgestone Golf announced this morning that 79-time PGA Tour winner and 14-time major champion Tiger Woods has signed a multi-year agreement to exclusively play and promote its golf balls. Woods, who spent 683 weeks as the top-ranked golfer in the world, will play the Bridgestone Tour B330-S ball after thoroughly testing it against competing models from all major brands. "Finding the right golf ball is extremely important," Woods said in a press release. "It's an essential part of my equipment, and the Bridgestone B330-S ball is hands-down the best for my game. Controlling launch and trajectory is critical, and with this ball I feel I have total control to hit all shots accurately. I'm not just here to play -- I'm here to win, and the innovative breakthroughs of the Bridgestone B330-S ball can help me do that." "No one spends more time perfecting their equipment than Tiger Woods, and no one holds their equipment to a higher standard," said Angel Ilagan, President and CEO of Bridgestone Golf. 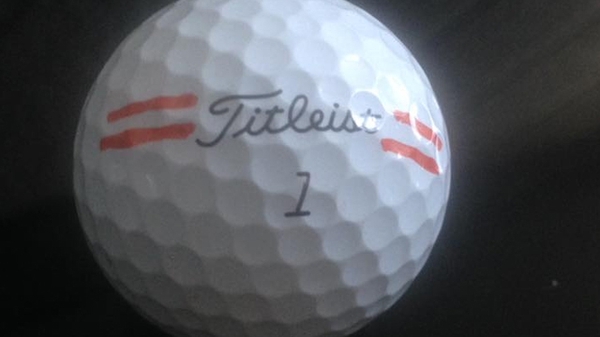 "His choice of Bridgestone sends a clear message that our golf balls are superior to all others." As part of the partnership, Woods will be featured in digital, social, print and broadcast marketing globally as a Bridgestone Golf ambassador. Woods will also support the popular Bridgestone ball-fitting program, which he believes can stimulate a new generation of golfers and increase enjoyment for all players. "Bridgestone wants to make golf easier for everyone," said Woods. "Knowing that every golfer's game and swing is unique, it works to match each individual with the best ball for his or her game. If you're not switching to Bridgestone, you're missing out on better scores and a better experience." Supermodel Cindy Crawford wasn't going to pass up the chance to drink from the Ryder Cup trophy when Rickie Fowler had it with him during his 28th birthday bash. Rickie Fowler celebrated his 28th birthday on Tuesday. It's not a milestone birthday by any means, but it might just be the coolest of Fowler's life to date because of some hardware he had with him... the Ryder Cup Trophy. As part of the Ryder Cup Trophy tour where each member of the winning USA team will have time with the trophy at home, Fowler took it out for his birthday. Oh do you want your #RyderCup back, @RickieFowler? Just wait 'til I finish my @Casamigos! Did you think Fowler was going to tell Crawford, "no?!" Here are a couple of Snapchat videos Fowler filmed too. All in all, it looks like having the Ryder Cup as your wingman isn't so bad. 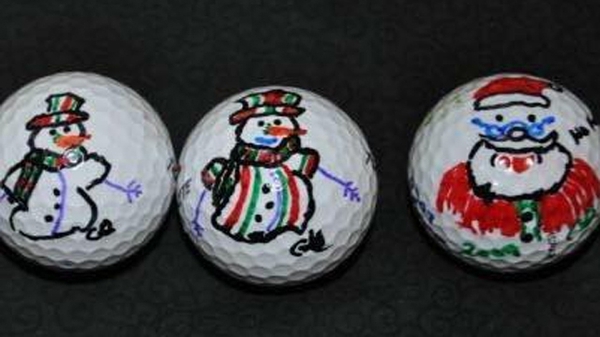 How do you mark your golf ball? When it comes to putting an identifying mark on a golf ball, it can be as simple as a dot or line for putter alignment. Or, it can get a lot more elaborate. When it comes to putting an identifying mark on a golf ball, it can be as simple as a dot or line for putter alignment. Or, it can get a lot more elaborate. We reached out to the hundreds of thousands of our followers in PGA.com Facebook Nation to ask the question: How do you mark your golf ball? You guys came through, as usual, with loads of great answers. Here are nine of our favorites, who also included a photo of their art work... some of them with the kind of art that'd be sure to make you feel even worse than you already did about losing that little, white nugget. 9. 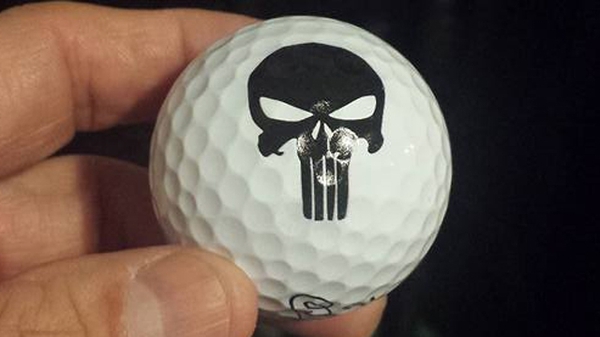 Eric Newbold submitted this photo of his golf ball with a logo for "The Punisher," a comic-book character from the Marvel Universe. 8. 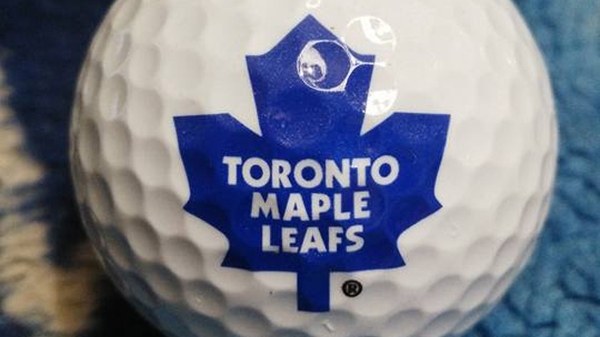 Ken Dresser provided this photo of, presumably his favorite sports team, the Toronto Maple Leafs. Since this writer is a big-time Boston Bruins fan, I got a kick out of the first comment under Dresser's post from a Facebook user named TherealMike Traficante Sr.: "Always 'losing' that ball, eh?" 7. 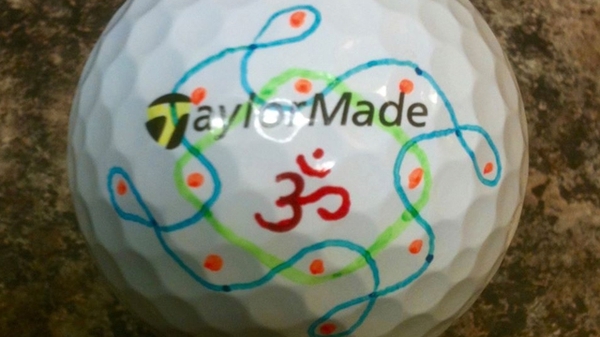 William L. Wilson sent us a photo of his TaylorMade golf ball with loads of creative swirls. 6. Jose Luis Alcala Escobedo kept it simple with some orange strips that almost resemble one of the rocks you find at a driving range. Perhaps it works well for reverse psychology on water holes. Everyone has that golf buddy who uses a "lousy" ball on water holes "just in case" he hits it in the water, right? Well, with this art of range-ball-looking deception, you can still use your coveted Pro V1 without losing it! 5. Zachary Arms, clearly proud of his Irish roots, opts for a clover on his golf ball. His profile picture also featured him wearing a hat with a clover. Luck of the Irish? On the golf course, you'll take any luck you can get. 4. 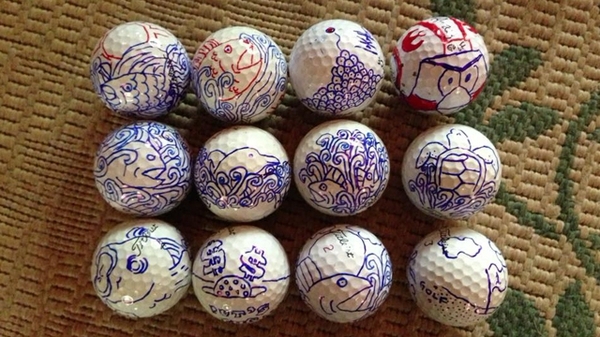 This entry from Juan Carlos RJ made us think it might take him longer to draw on his dozen golf balls than it does to complete an 18-hole round of golf. That is some elaborate work! 3. 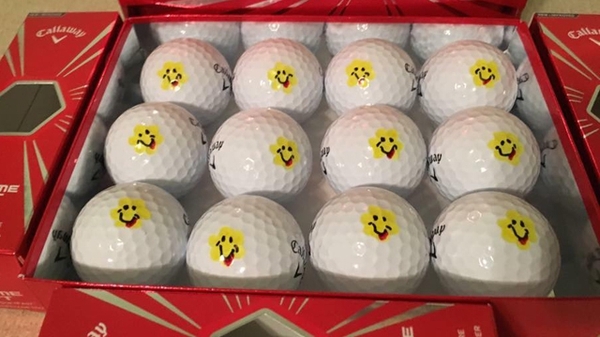 Chris Gagle sent us the first of two submissions with a box full of golf balls featuring smiley faces. I like the idea of looking down at a smiling face before hitting my shot. Maybe it's a good reminder that you're enjoying a day on the course instead of doing something else. 2. Gaggles second entry included scenes of winter. 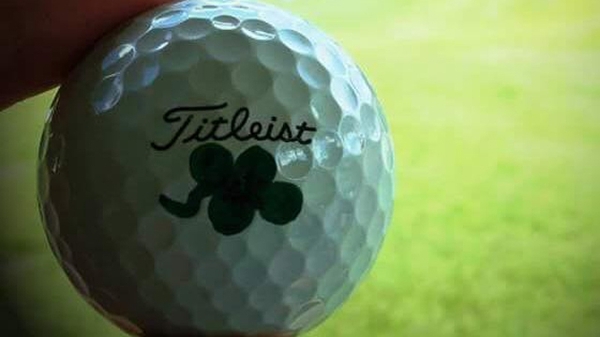 Very cool design, but it sort of feels like you're tempting fate, or spitting in the eyes of the Golf Gods by drawing a snowman on your golf ball. 1. 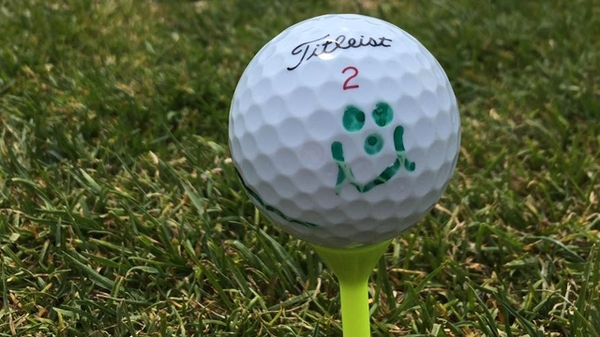 Finally, Rob Thomas sent along a photo of his golf ball keeping it simple with a smiley face.